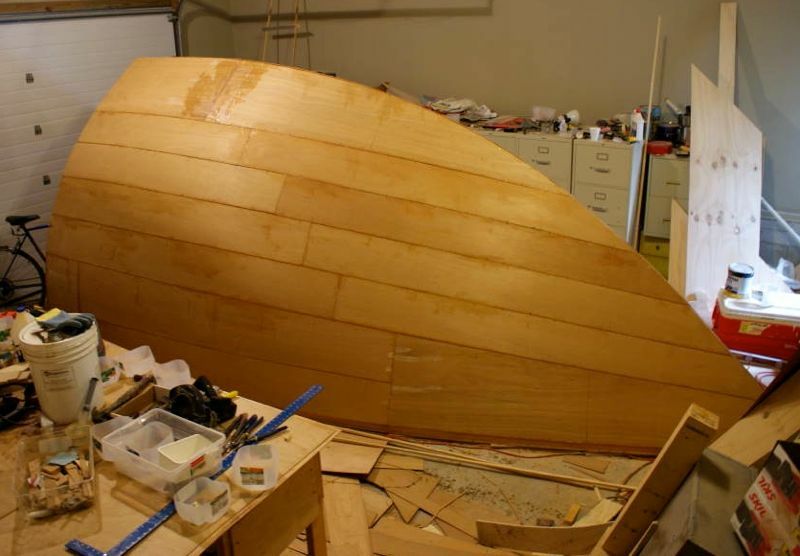 To build the 50-foot vessel in his much shorter garage, Jim built the main hull in in 3 parts – one long mid-section and two shorter bow and stern pieces. The process looked like this: (Jim Coward photos). …the skin is attached. The 1/8” thick strips of luan were clamped, glued and screwed to the frame work with screws. When the adhesive dried the screws were removed. 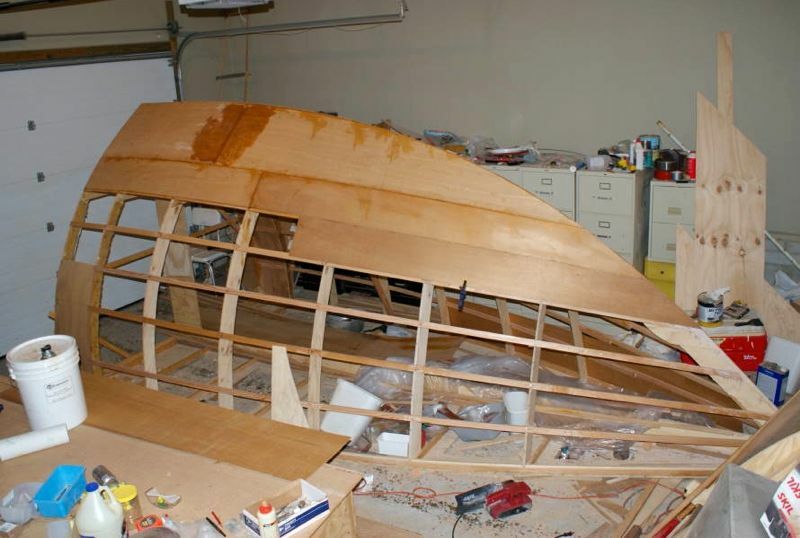 The bow section “planked” with strips of plywood. 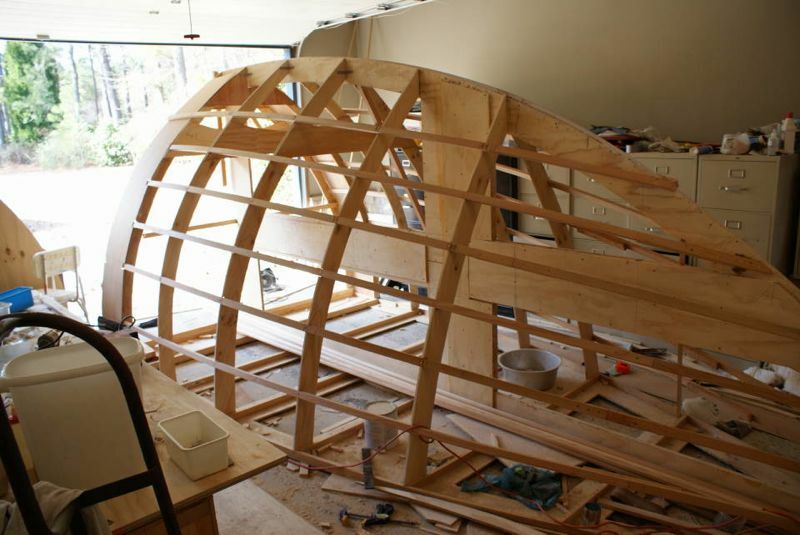 …to the backyard where he joined it up with the bow and stern pieces. For strength, he covered the joints with strips of fiberglass and resin. Then he coated the entire hull with additional layers of heavy fiberglass cloth and more polyester resin. 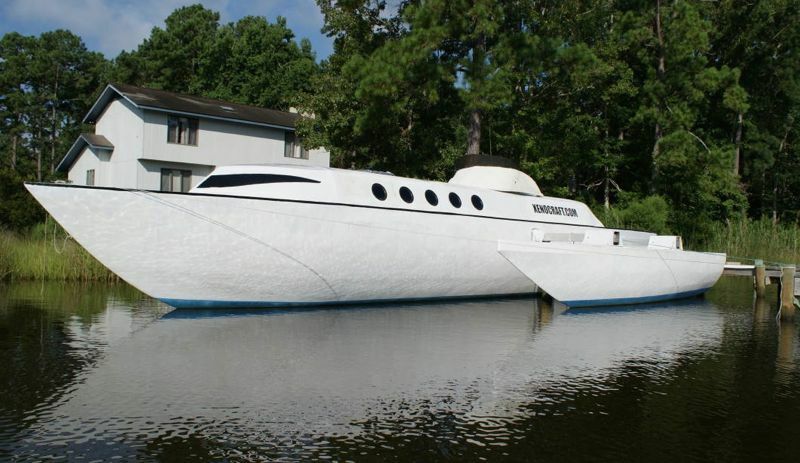 When the hull was deemed strong enough, with the assistance of friends, he rolled it over. 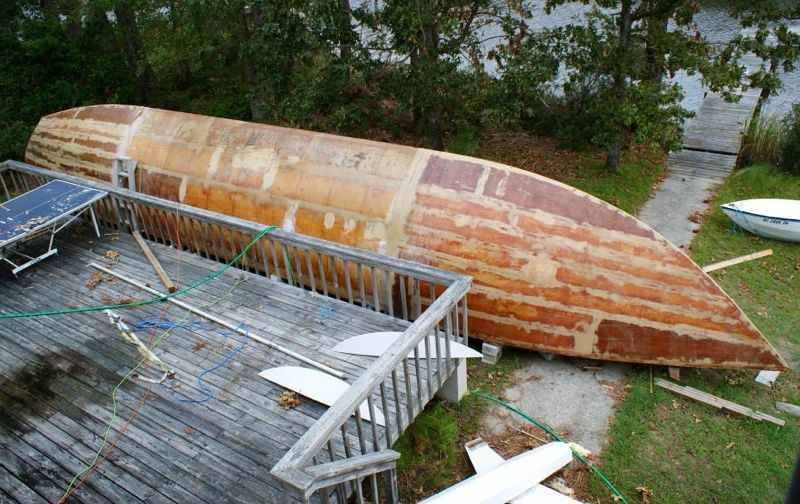 At this point, the hull was open, like a large dugout canoe. 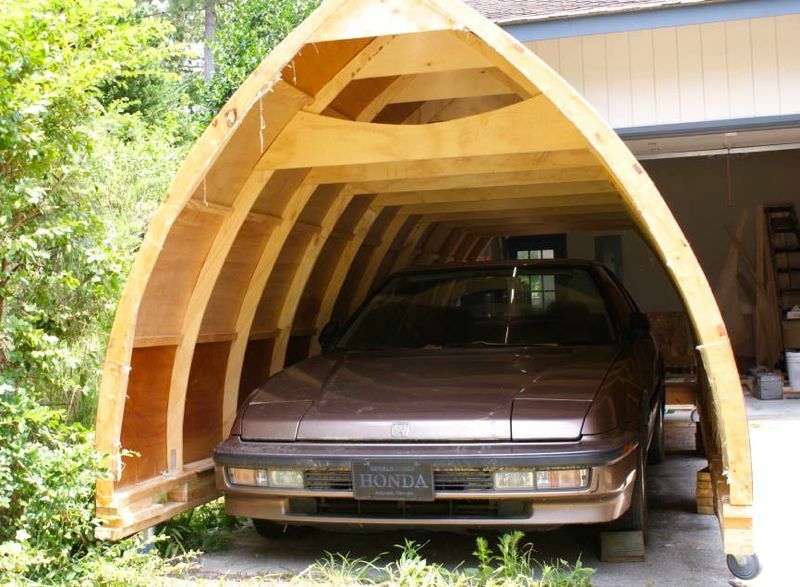 To close it in and add standing headroom he built a cabin house, or as Jim calls it, a “freeboard enhancement”. Audacity was launched in March 2013. Audacity, floating behind Jim’s house. With her fresh coat of paint and streamlined hull, she appears more star ship than garage built cruiser. Jim’s boyhood dream of designing and building an efficient power cruiser was up and floating.